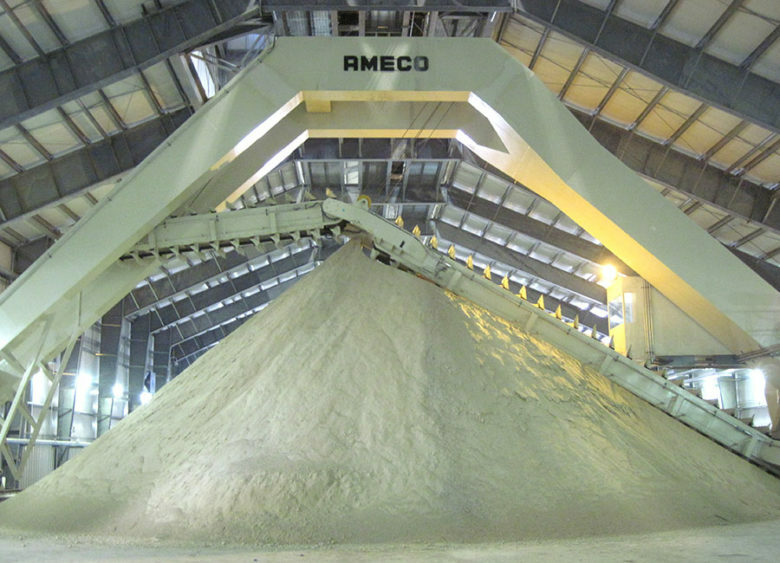 When large volumes of bulk material need to be temporarily stored between individual plant process steps, AMECO’s indoor and outdoor applications are the perfect solution for longitudinal stockyards. 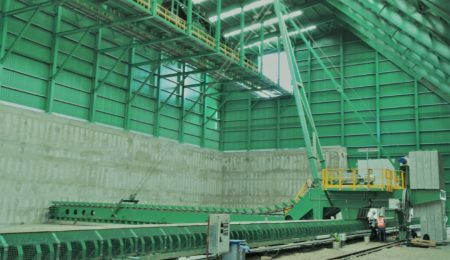 AMECO Scraper Reclaimers are Bulk Material Handling equipment used in several industries in order to collect and redistribute Bulk Material from temporary storage constituted by stacks or piles. How do AMECO Reclaimers work? Reclaiming of Bulk Material is achieved by means of a Scraper arm long enough to reach across the Bulk pile. 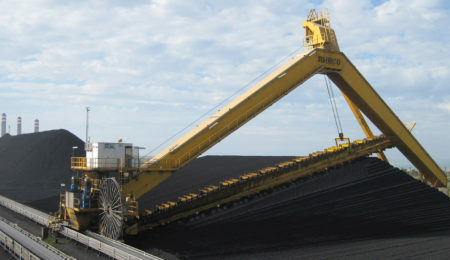 A chain system equipped with blades or buckets rotates, scraping the surface of the pile, and removing material from the pile onto a Belt Conveyor. 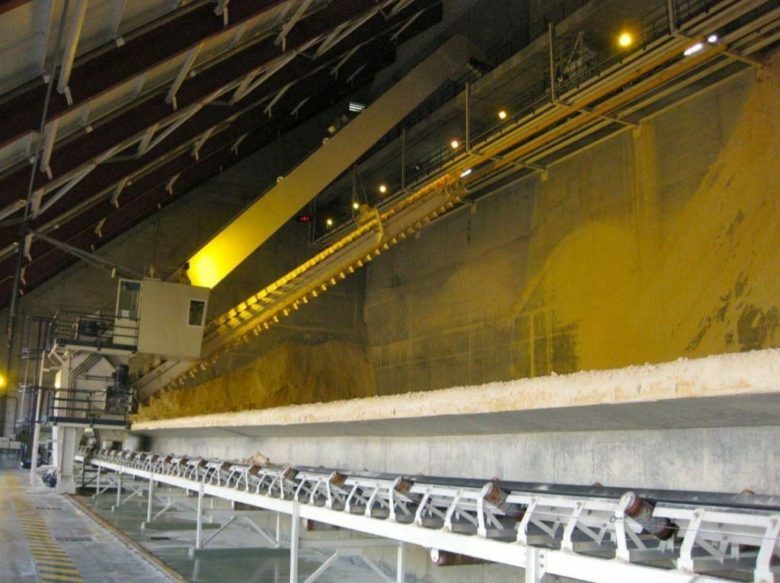 AMECO’s Longitudinal Stockyards are the perfect solution when large volumes of Bulk Material need to be temporarily stored between individual plant process steps. These systems can be used for both indoor and outdoor applications. 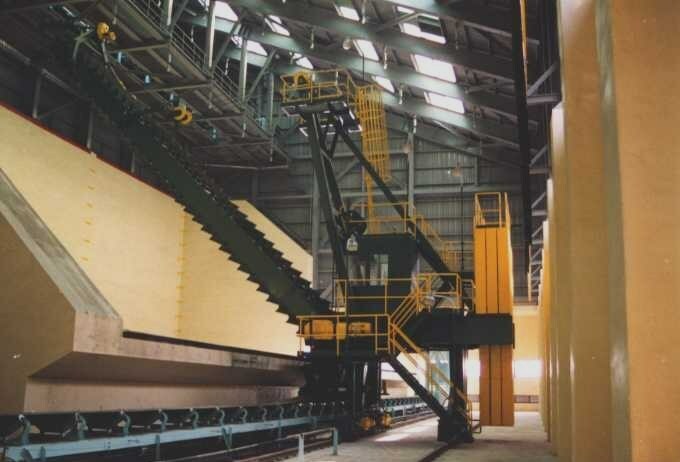 The Portal Scraper is usually used in a production line as Bulk Material buffer store. The store operates with stockpiles placed in line. While building up one pile, another pile is being reclaimed. We have more than 300 operating references working all around the world. AMECO Portal Reclaimers can be installed inside or outside a storage building. For outside applications, a single boom Portal Reclaimer (PS1) is the normal choice. For this type of machine, the Scraper arm is long enough to reach across the pile. 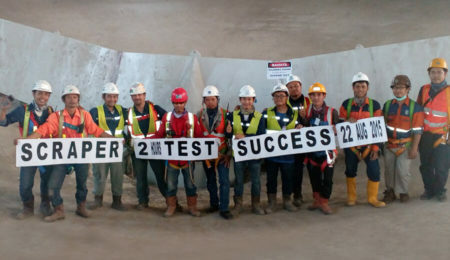 For inside applications, double-boom Portal Reclaimers (PS2) provide the advantage of being more compact. For this type of Longitudinal Stockyard, the highest point of the installation is the portal structure. Semi-Portal Scrapers (SPS) are a variation of Portal Reclaimers where one of the portal travelling trucks is installed on the top of a retaining wall. This kind of machine is mainly used in power plants for materials like limestone, coal and gypsum. The Semi-Portal Reclaimer offers the advantage of being very compact. Combining two of these Longitudinal Stockyards on the opposite sides of the same wall, a storage for two different kind of Bulk Materials can be achieved inside the same building. The Side Scraper (SS) is a Travelling Reclaimer. 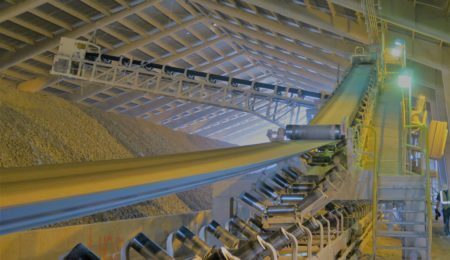 This longitudinal stockyard solution prevents more cohesive materials, such as potash and its by-products, from being disturbed by atmospheric conditions.